A high-quality computing education equips children to use computational thinking and creativity to understand and change the world. Our children learn the principles of information and computation, how digital systems work and how to put this knowledge to use through programming. Building on this knowledge and understanding, children are equipped to use information technology to create programs, systems and a range of content. 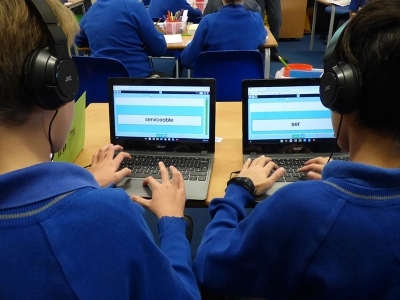 We are well equipped to provide this learning with Computing Suites on all three sites alongside iPads, laptops and Chrome Books allowing technology to be used seamlessly in the classrooms for cross-curricular work and within the computing curriculum.